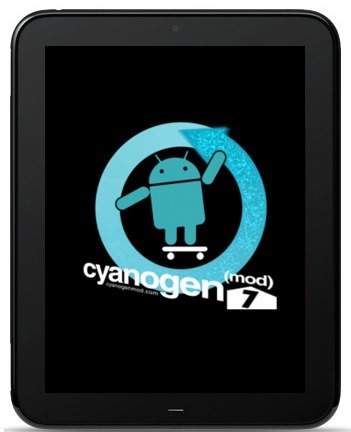 CyanogenMod 7 for HP TouchPad has made further progress today, as the developers have announced a tool called ACME Installer which will allow users to dual-boot CM7 with webOS on their TouchPad. It’s been a long time since we last talked about CyanogenMod 7 for HP’s discontinued TouchPad tablet. It was all quite for the past two weeks from the developers, but today they uploaded an all-new video in which they demonstrate a tool called ACME. It has been nearly a week since you’ve heard from us. Far, far too long. Today we want to introduce you to "A CyanogenMod Experimental Installer", aka "ACME Installer". Once released, it will be a fairly simple and hopefully safe method to install CM to your Touchpad. The process is as simple as we could make it– once you start ACME Installer, it does all the hard stuff. We won’t get into the details of what is shown in the video as you can watch it for yourself, instead we’ll talk about ACME Installer. The tool is called ACME Installer (A CyanogenMod Experimental Installer) and it will allows users to install CyanogenMod on their TouchPad in a “fairly simple” and safe method. Once the tool is released, users will only require three files to set up CM7: the ACME Installer itself, a program called novacom for Windows, Mac and Linux from HP which will be used to run ACME Installer and, lastly, a file called cm-update which contains all the CM7 files. The best thing about ACME Installer is how, well, simple and easy it will be to use and how users will be able to switch between CM7 Android and webOS whenever they feel like it. The developers do state that the demonstration of ACME Installer should not be taken to suggest an imminent alpha release of CM7 for TouchPad. There are, apparently, plenty of things that require work before they become ready for public consumption. For the uninitiated, CyanogenMod 7 for HP TouchPad comes under the TouchDroid Project which was announced some time ago after HP announced the discontinuation of their failing webOS-based TouchPad tablet. The project aims to port Android 2.3.x Gingerbread (and, ultimately, Android 4.0 Ice Cream Sandwich) to the TouchPad. Interested folks can follow our guide on how to install Android 2.3.5 Gingerbread on HP TouchPad. This build of Android is separate from CM7 and isn’t really recommended unless you intend to develop Android for TouchPad.